It’s an industry that is soaring in popularity and if you were to believe recent studies, it’s worth more than $37 billion. However, to say that the supplements industry is completely positive would be a vast exaggeration. Behind the marketing material and the huge numbers are some pretty damning statistics about the way in which these supplements work. Tens of thousands of people have been sent to the emergency room after taking them, yet it’s still an industry which is completely unregulated by the FDA. Still, consumers are tempted by the promises of weight loss and boosts of energy. Let’s now take a look at what is making the supplements industry tick and ultimately, let’s take a look at the numbers which the marketing material associated with products of this ilk just fails to mention. Before we delve into what the industry is currently selling, let’s take a look at the supplements industry over history. If we turn back the clock to 1912, this was the year in which the first vitamin was released to the market. This occurred when a Polish chemist, going by the name of Casimir Funk, was able to synthesize the first ever vitamin. From this point on, the industry started to explode. No fewer than ten Nobel Prizes were handed out due to work in relation to vitamin research. By the time we reached the 1950s, scientists had been able to synthesize all but one of the thirteen essential vitamins. These vitamins were added to everyday products, like bread and cereal, with marketing agencies labelling them as “fortified”. The initial introduction of supplements was to combat various deficiencies, which were said to be behind problems like rickets and scurvy. In other words, there was plenty of reason for these supplements to be released to the market. However, that was back then. Now, things have changed. The reason these supplements are hitting the market is changing. Marketing material is tending to target the middle-classes, predominantly women, who want to combat all of life’s everyday problems such as a lack of energy and weight gain. To make the matter even more interesting, the products are now interlinked with celebrities. For example, one only has to take a look at Gwyneth Paltrow’s $90-per-month vitamin packs, released through her company Goop, to see the situation in its full glory. These products go by the likes of “Why Am I So Effing Tired” and “High School Genes” – both of which clearly influence those modern problems that we have talked about. The fact that Paltrow’s name is attached to these products immediately makes many people think that they are credible. The credibility-factor is emphasized when you see that the ingredients have been pieced together by doctors who work for Goop. However, if you start to analyze these ingredients, something appears amiss. For example, with “Why Am I So Effing Tired”, this contains 960% of your daily allowance of vitamin B6 (even though the packaging claims this is actually 625% of your allowance). It also contains rosemary extract and Chinese yam; two ingredients which have absolutely no scientific research attached to them. In the case of vitamin B6, there are suggestions that people taking too much of this can suffer from abnormal heart rhythms and worsened asthma – two conditions not to be scoffed at. They can also interact with drugs for serious conditions, such as Alzheimer’s. In short, what started as a way to combat obvious health conditions, has moved into something which is so-called fashionable but potentially dangerous. They may have been around for decades, but there is still no evidence that supplements bring benefits to the human body. Instead, the opposite can easily occur. Firstly, there are a number of ingredients in there which aren’t named on the label. Secondly, the dosages related to these supplements can be exceptionally dangerous. Many show a “suggested dose”, and don’t state any way in which they might interact with other drugs. 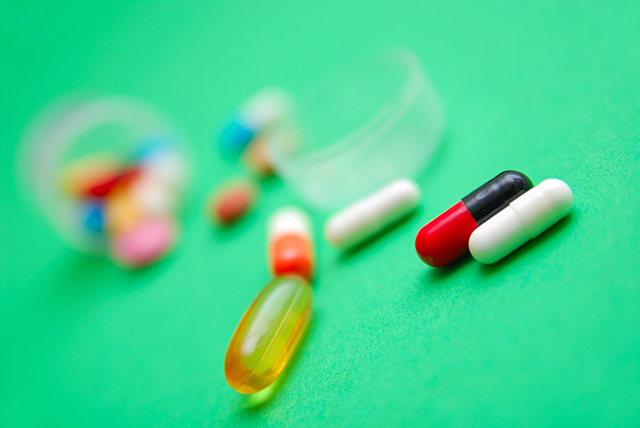 Thirdly, the amount of an ingredient contained in one pill might vary substantially to what is contained in another. Several studies have proven this, and it means that if someone does enter the emergency room with a problem after taking a supplement, it becomes very hard to reverse the problem due to the inconsistent dosage. Following on from this, let’s turn to statistics. In a 2016 study, conducted in the New England Journal of Medicine, it was found that more than 23,000 visits to the emergency-room were associated with supplement usage. There are now more than 9 cases per 100,000 people – with this figure constantly on the rise. The market for supplements might be enormous, but perhaps the most interesting point about all of this is that humans don’t really need all of these extra vitamins entering the body. They are usually taken to guard against those times when we’re not consuming the right nutritional items. However, if you were to eat correctly anyway, you wouldn’t need to turn to such supplementation. So, do the supplements offer any long-term benefits? According to a huge review in the Annals of Internal Medicine, not at all. This study looked at 400,000 people, and the results were damning. In short, those who took supplements didn’t live longer, have better cardiovascular condition or have less chance of suffering from cancer. This isn’t the only study of its ilk either. Countless others have rebuffed all of the marketing material that has emerged from supplements. Not only that, but many of these studies showed that our bodies handle vitamins and minerals in foods in a much safer way than those that are found in pills. Why does the FDA not cover supplements? Following on from the above, the obvious question is why doesn’t the FDA cover supplements? Well, if you were to ask them directly, their response is that they are doing everything in their power. This all relates to a law passed by Congress in 1994, going by the name of the Dietary Supplement Health and Education Act. Prior to this, the FDA were able to regulate the supplements market much more strongly, in a very similar way to how they can act with pharmaceutical drugs. In the end, the industry pushed back, Congress listened, and life is much easier for supplements manufacturers now. Unlike drugs companies, which have to prove that they work to treat the ailment they are marketed for, no such burden of proof occurs with supplements. The FDA doesn’t have the power to stop any product going to market, regardless of what its marketing material says. In 1994, this regulation was accepted by the FDA. Back then, the industry was worth just $4 billion, and there simply wasn’t the commotion that we are saying today. Now, the situation has grown out of control. It’s worth $37 billion and it’s only when a supplement is deemed unsafe that it can stop being sold. The definition “unsafe” occurs when the supplement is associated with people being rushed to the emergency-room, or poison-control. The most alarming point is that the FDA does not know if a product has been released to the market unless they hear negative publicity.